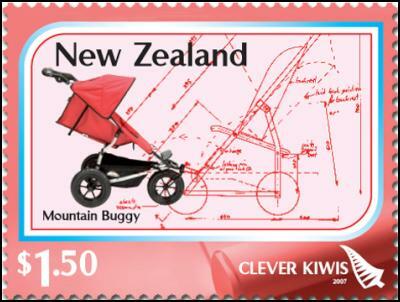 Kiwi ingenuity is being celebrated in New Zealand Post’s latest issue of stamps, Clever Kiwis. 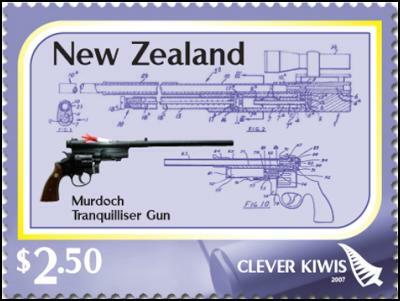 These stamps pay homage to the Kiwi can do attitude and elegant simplicity of the work of some of our lesser known inventors and entrepreneurs. The electric fence, spreadable butter, the mountain buggy, the Hamilton Waterjet and the tranquiliser gun are now common place around the world, but started here – often a result of pragmatic need. Spreadable butter is now taken for granted by homemakers and cooks all over the world without a thought given to its origins. The tranquiliser gun serves a practical purpose but has huge implications for animal health and safety in countless countries. 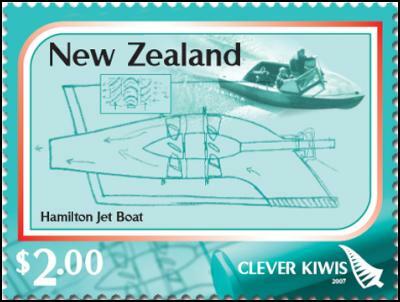 The Hamilton Waterjet solved a problem which baffled marine inventors for centuries. The brainchild of Bill Hamilton, this innovative propulsion system allowed him to navigate jet boats in the shallow waters around his home. This propulsion system is now used in jetboats and on waterways internationally in a wide range of work from patrol boats, to passenger ferries, to rescue craft and recreational vessels. 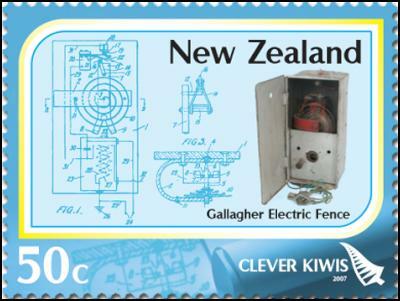 New Zealand Post stamps general manager Ivor Masters says there was a lot to choose from in looking at Kiwi inventions. $2.50 – Tranquiliser gun – Colin Murdoch’s tranquiliser gun has saved countless animals since its invention in the late 1950s. 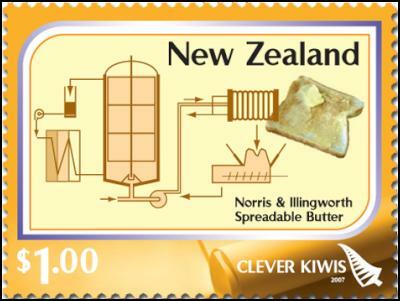 The stamps and a Clever Kiwi First Day Cover will be available for purchase from August 1 at all New Zealand Postshops, Real Aotearoa stores in Christchurch and Auckland, the Wanganui Stamp Centre and online at www.nzpost.co.nz/stamps.